You might not find the market at first; it almost seems hidden. 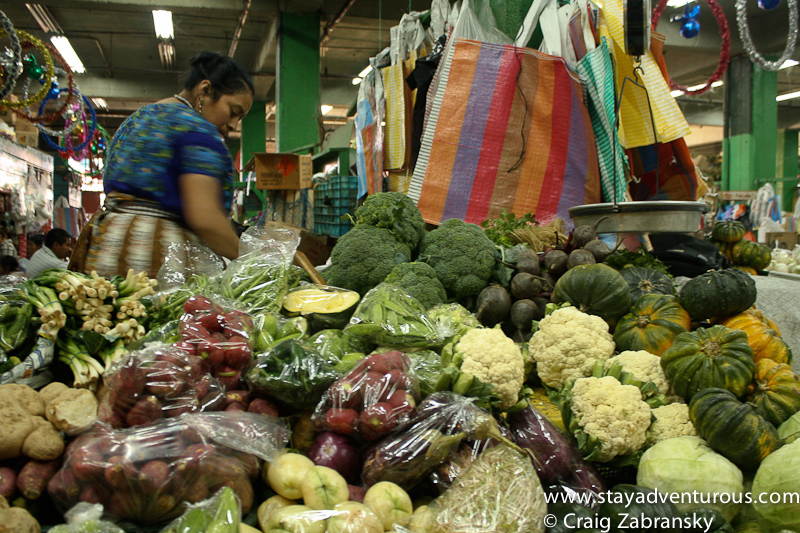 The Mercado Central or Central Market of Guatemala City fills up a few square blocks yet you need to know where to look. You need to look down. 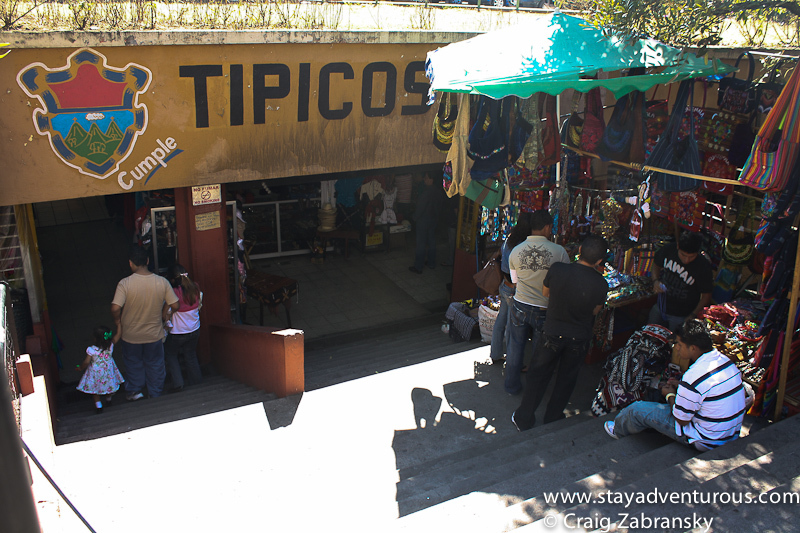 A two minute walk from the ‘parque central’ (the main square), the main market in the center of Guatemala City is all underground. The cars park in the lots above the market and to enter the market you must descend stairs. My first day in the country I wasn’t sure if I chose the right stairs, or essentially what I was walking myself into, but it turns out any staircase will do. 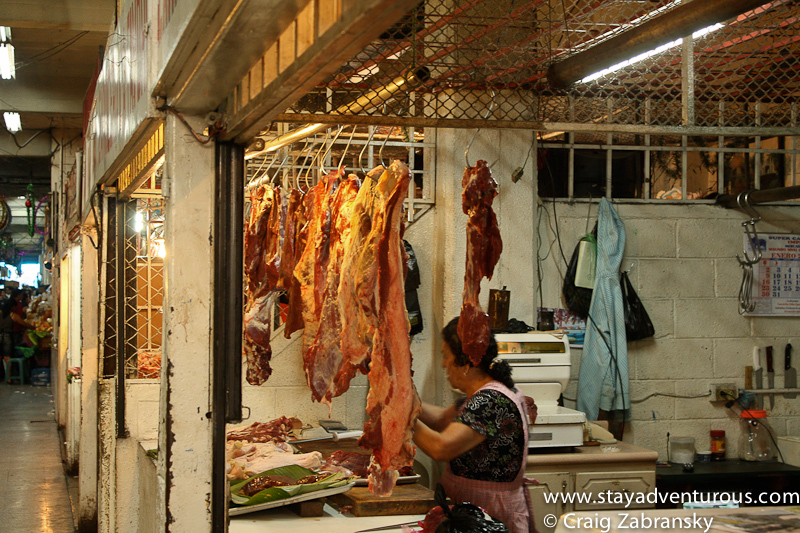 And the lack of asthetics on the outside is well compensated for by the vibrant and colorful market inside. As your eyes wander with your foot steps, I found it quite easy to lose my bearing as every direction and exit looks the same. But thankfully, the market contains an order, it was sectioned off rather well. The vendors for meats, fruits, vegetables, pirated CDs, pottery, bags, flowers, etc… all seemed to have a separate section. So all you need to do is remember what items were for sale where you descended and then return there. That’s how I found my way out after my meanderings. 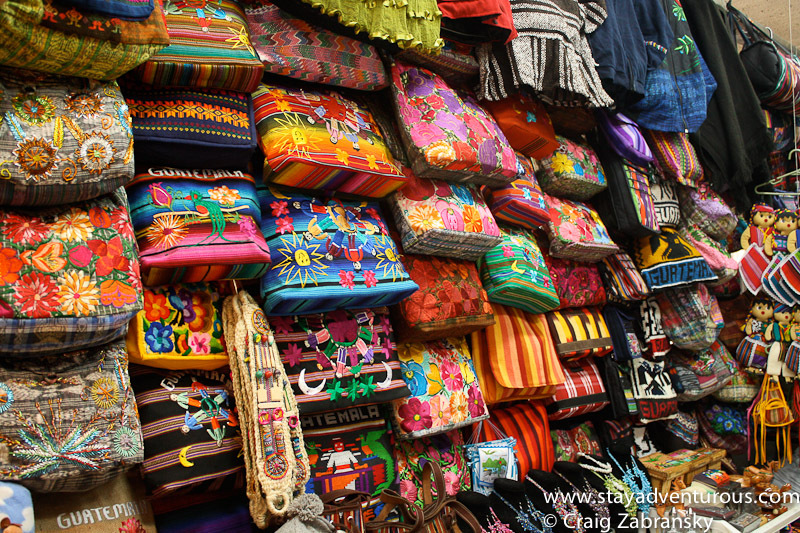 At times, I found many comparisons to Mexico City when in Guatemala City, both capitals, both named in similar function, both similar climate along with countless others, but the marketplace here reminded of the Mercado Municipal in Mazatlan. Although unlike Mazatlan, I hardly noticed any fellow gringos, and needed to use my spanish skills. This was truly a market for the locals. 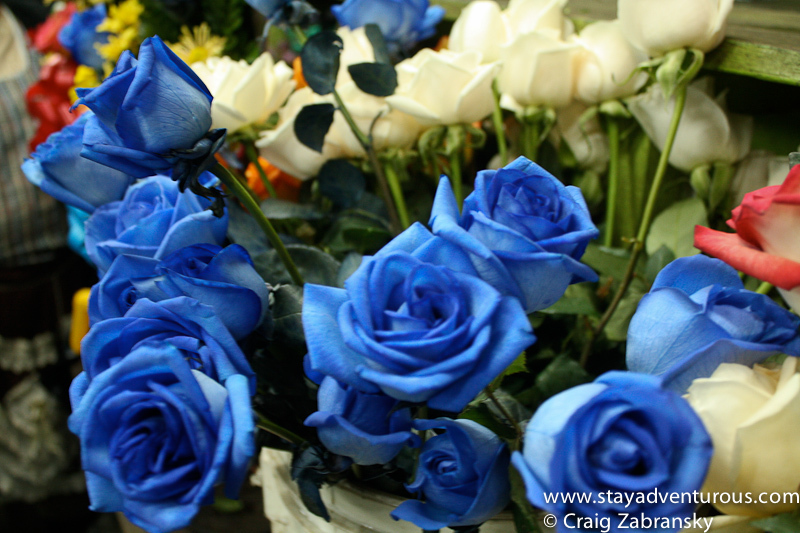 this post is part of the Market Monday Series, it is the fourth of four posts this May. @ Sarah, thanks… once I found it, it was a great afternoon of discovery. I lived in Guatemala for just over a year in 2001-2 . Guatemala is a gorgeous.country definitely worth visiting…..The country is small comparable to a.medium-sized US state but incredibly diverse. The climate ranges from.temperate eternal Spring in Guatemala City and Antigua to desert rainforest .chilly highlands the hot and humid coastal plain and everything in between..In addition to Spanish 22 completely distinct local Mayan languages are.spoken in the country. Well, @E.Keith, thanks for the facts, I will be describing more about my experiences in Guatemala during my “get to know guate” series coming this fall.